Inland Pipe Rehabilitation LLC (IPR), a Conyers, Ga., trenchless solutions provider, acquired Daystar Composites LLC, changing its name to Daystar Composites: An IPR Company. IPR offers a wide range of installed rehabilitation solutions that restore communities with safe, smart and lasting infrastructure. Daystar Composites provides contractors and utility owners with state-of-the-art, cured-in-place pipe (CIPP) liners and products designed for the rehabilitation of water and wastewater pipe infrastructure. “We are proud to add a deep bench of trenchless and CIPP industry experts who have developed industry-leading technology,” said Robert McCrae, president and CEO of IPR. 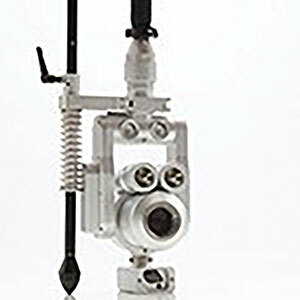 Trio Vision LLC, Smyrna, Ga., manufacturer and innovator of technology solutions for the wastewater market, has secured a license to manufacture and market manhole camera inspection devices that incorporate certain technologies and methods patented by Envirosight LLC. Inspection products will be developed and sold worldwide under the XPlorer product brand name. The XPlorer line of lightweight, lithium ion battery-powered pole cameras by Trio-Vision are designed for easy, single-person operation. The full-high-definition, wireless model is capable of capturing stunning 1080-pixel video and photos. Control is determined by the user’s preference and can be an off-the-shelf Windows 10 Professional tablet, PC, convertible laptop or standard laptop. Perma-Liner Industries LLC, the leading manufacturer and supplier of trenchless pipeline rehabilitation equipment and materials in North America, introduced a new, eco-friendly product. 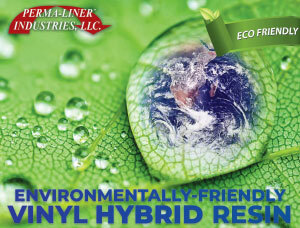 Perma-Liner Vinyl Hybrid Resin is the only vinyl hybrid designed with zero styrene, extremely low VOCs and as a hybrid vinyl ester with high-rigid polymer backbone. The vinyl hybrid resin has a standard pot life of more than eight hours and uses an easy initiator with 1 percent cumyl hydroperoxide (CHP) by weight, making it inexpensive, easy and effective.